As I was wandering the aisles in Walmart the other day, I ran into a young fellow who starting working there a couple of years ago. Every time I’ve run into him he always has a big smile on his face and he’s just so cheerful. I remember getting into a conversation with him shortly after he was hired. I told him I had applied for work there several times (which required filling out an online application and taking an extensive online test each time) and while I passed the test with flying colors I never even got so much as a phone call and never actually got to talk to anyone doing the hiring. I asked him about his experience with the application process and I forget now the number of times he said he applied online (it was a lot) but he said he applied every single day for weeks until someone finally called him. Now that’s persistence. The other thing I noticed about this young fellow besides his cheerful attitude and inviting smile is that he is always ready to help. And he brightens up any work area where I have found him working in the store. And his cheerfulness is clearly genuine. When I ran into him the other day he was on his way to the checkout area and told me he’d be cashiering at Checkout #7 and to come to his checkout lane when I was done. Well, I wandered around for a bit longer, but I only had four items I was buying and when I got to Checkout #7, the line was pretty long with shoppers who had full carts. I realized I would be there a while and since I only had four items, I ended up going to a “20 items or less” lane and checked out. On my way out of the store I walked by Checkout #7 to say bye to him but he was very, very busy checking out the shoppers waiting in his lane with those full carts. And his cheerfulness was obvious but I didn’t say anything to him as his back was to me and I didn’t want to distract him from his work. I choose his checkout lane as often as I can. I’ve checked out at registers where cashiers text on their phones, complain about their job, or count down minutes until they clock out. In contrast is this teenager who acts like waiting on others at the grocery store is the greatest way to spend an afternoon. He brightens the day of every person in his line simply by being friendly and positive. When believers live in contrast to this dark world, we shine as brightly as stars against a night sky. Others complain; we stay positive. Some argue; we adopt Jesus’ humble attitude. The world goes crooked; we stay straight. This generation lives perversely; we live purely. 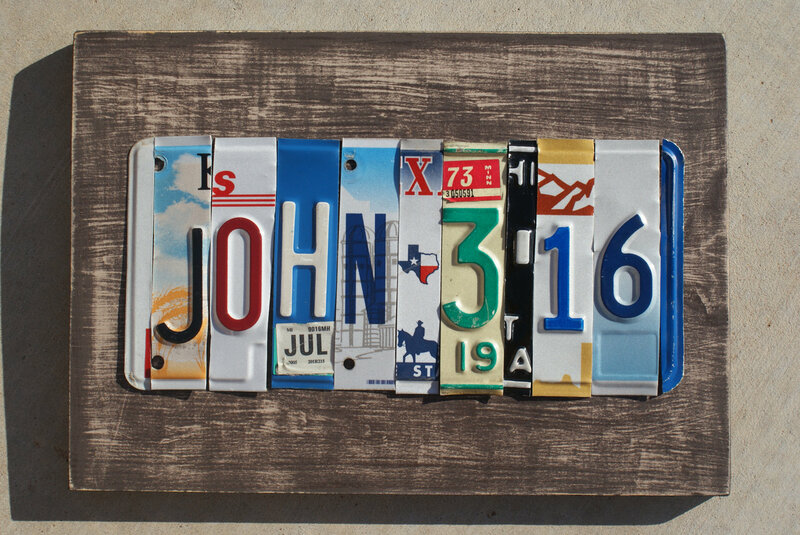 Every time we choose to be set apart as followers of Christ, we shine and share the word of life. Go outside on a clear night and look at the sky. Determine to shine like stars by doing all things without grumbling or complaining. Give this world a glimpse of what it means to live in the light of Jesus. 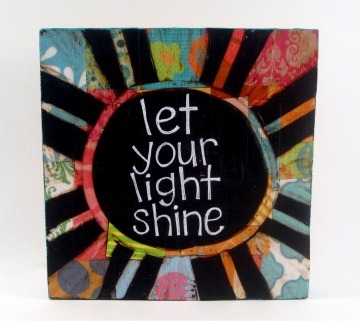 How often do we (those of us who consider ourselves to be Christian) “shine brightly” in a world full of folks who would rather be texting, grumbling, judging, or doing just about anything else but helping others (and not just in a work setting)? Now I have no idea of the religious affiliation (or if he even has any) of this young fellow I run into on occasion when I’m shopping at Walmart, but I can say that he puts a lot of us folks who call ourselves Christian to shame by his constantly cheerful attitude, smile, and readiness to help anyone who needs it. That is not to say that he doesn’t have a bad day from time-to-time, but he doesn’t let it show at work, and he’s always been willing to help whenever I’ve run into him. Therefore, my dear friends, as you have always obeyed–not only in my presence, but now much more in my absence–continue to work out your salvation with fear and trembling, for it is God who works in you to will and to act in order to fulfill his good purpose. “Continue to work out your salvation with fear and trembling, for it is God who works in you to will and to act in order to fulfill his good purpose.” How often do we work out our salvation with fear and trembling because it is God who is working in us to bring about and fulfill his good purpose (and not our own)? And how often do we even think about our salvation as being something we need to “work out” and not just accept, and to work it out with “fear and trembing” (e.g., being serious and not frivolous with the salvation we have received from Jesus Christ)? And in the very next breath Paul tells us to “do everything without grumbling or arguing, so that you may become blameless and pure, ‘children of God without fault in a warped and crooked generation. '” How often do we find ourselves grumbling about something or someone (and that includes gossiping about others, too), or arguing with others and/or judging them, especially folks we don’t even know personally or who aren’t like us? And how often do we get into an “us versus them” mentality towards others outside of the Christian faith (or even within the Christian faith which also happens all too frequently)? And how are they to hear or understand if we are always pointing fingers at them and think we are somehow better then or superior to them? Do nothing out of selfish ambition or vain conceit . . .
Value others above ourselves . . .
And don’t just look out for our own interests but for the interests of others. We live in a very self-absorbed world and it has invaded the church. Just look at how many titles of Christian best selling books over the past couple of decades or so start with a focus on us instead of others. I don’t want to get into naming titles as I’m not trying to point a finger at any particular authors who have written those books. The point is that so much of our Christianity here in America is focused on us and what we can get or “expect” to get from God and not focused on genuinely helping and caring for others with needs who cross our paths. And that is just the opposite of what real Christianity is all about. Genuine Christianity is not just about us and what we can get in this life, and it never has been either. We are given a lot of instructions in the Bible as to how we are to live, and much of it is very encouraging not only to help us in our own lives but to open us up to be caring and giving to others in need, too. And it’s not that God doesn’t care about us individually as He does, and very much so. But He never intended for us to get so myopic that we ignore the very clear needs of others in this world, and that’s not accomplished by putting a few dollars in an offering plate on Sunday morning and then thinking we’ve done our part for any particular week. No . . . it’s in the everyday interactions we have with everyone we come into contact with–whether in a work setting or social setting, at home with family or communicating with friends, or interacting with the many acquaintenances and strangers who cross our paths on a regular basis, or even those folks who make us angry. Finally, brothers and sisters, whatever is true, whatever is noble, whatever is right, whatever is pure, whatever is lovely, whatever is admirable–if anything is excellent or praiseworthy-think about such things. Whatever you have learned or received or heard from me, or seen in me–put it into practice. And the God of peace will be with you. So let’s acquire the same mindset as Jesus Christ and serve others instead of ourselves. . .
I’m old enough to remember the days of “hellfire and brimstone” preachers. Sin was serious business to them and they wanted us to know just how serious it was. Sometimes they may have focused too much on God’s judgment and not enough on His mercy and grace, but we humans have a great capacity for complacency in our lives, so they wanted to make sure we understood the consequences. Fast forward several decades . . . now the very opposite has blanketed America. Sin is treated as if it is inconsequential as in the oft quoted phrase, “it’s better to ask for forgiveness than permission” (quote source here). The message nowadays is that “grace covers everything” so we can do as we please, using that as the perfect excuse for just about anything we want to do. 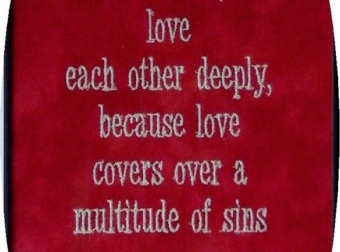 There is a balance between the two extremes and it is found in a relationship with Jesus Christ. When I started this blog over three and a half years ago now–on July 20, 2010–it was not with the intent to focus on Christianity here in America but rather as a place to write about what it was like to be unemployed during one of the worst recessions in our nation’s history and in our own lifetime. I spent the first several months (through April 2011) just getting that hang of blogging (there is really no set of rules to go by although there is a lot of advice on the Internet about blog writing). I don’t remember how many blog posts I wrote before I deleted all of them in frustration at the end of April 2011 and decided blogging just wasn’t for me. However, three months later–on July 8, 2011–I fired my blog back up again and it just took off the second time around . . .
. . . And I’ve been writing about that “balance” since that time. I’ve written blog posts on both sides of the issue–writing some very hard hitting “hellfire and brimstone” posts and also a number of “grace filled” posts. Obviously, the “hellfire and brimstone” posts haven’t been nearly as popular. However, sin is still very serious business to God, and that hasn’t changed since the beginning of time regardless of how “in tune” we might think we are when it comes to “all things Christian” in America today. However, the focus of this post is not on “hellfire and brimstone.” The message is a very simple one, yet one that is more important than any other decision we will ever make in our lives. It is more important then deciding who we marry, what career path we choose, climbing the social and/or corporate ladder, how much money we make, or how we can make a name and legacy for ourselves in this world. It is more important than knowing all the “right” people, or hobnobbing with the rich and famous, or acquiring as much education as possible (and, hopefully, not accumulating a mountain of debt in the process), or hoping to write the next “New York Times” best seller. Before I go any further I want to state that there have been times when I have been writing a post that I feared the reaction some of them might create, but I felt compelled to write them anyway. Our society has become too “soft and easy” to the serious issues in life, and as you know if you’ve been reading my posts, “soft and easy” wouldn’t exactly describe a lot of them. However, I’ve never written any of them as if I was an outsider to the human race. No, I’m just as human and just as fallible as anybody else. I was reading a couple of devotions this morning that hit home on two critical and important issues. The first is what we ought to say when we need to say it, and the second is the very simple message of the Gospel of Jesus Christ. Both reminded me of something very important that all of us who call ourselves Christian should remember. And both remind us that it’s not about us, but about God’s power through Jesus Christ to change us–and others–too. and what you should answer, or what you should say. How many times have the words just . . . come to us? And yet for some reason, we still doubt that they will. God is not just a God of external blessings, of improved situations and needs that are met. He also blesses our language, particularly when we’re under pressure, and we don’t know what to say. As I read this, I wondered how often we have a tendency to just “hang out” with other Christians? And how often do our conversations focus on the very same things as the rest of the culture at large–how to make more money, how to get more of “the good life,” how to look good and be accepted, etc.? When was the last time we relied on the Holy Spirit to give us the words to say to others, especially a whole world out there who doesn’t know Jesus Christ or have only seen the plastic image representing Him in our “get more” brand of Christianity that saturates our culture. 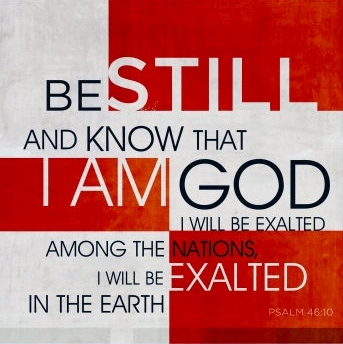 Folks, let us not forget that we are His representatives on this earth. Unfortunately, most of the time we act just like the rest of the culture. What’s up with that? No wonder so many folks “out there” are not convinced that Jesus Christ is real. 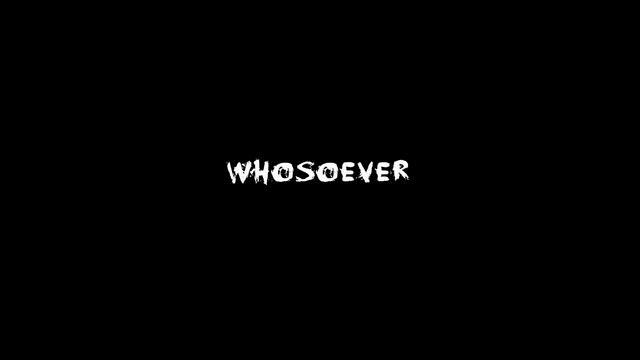 Whosoever. I trust that meant you; I am thankful that meant me. We praise God for our salvation. But does whosoever mean the wickedest woman you ever knew? Does whosoever mean the man who treated you so terribly wrong? We say it does. But we don’t always live like it does. And we may not share Jesus like we know He will save anyone. We may not pray as if we know God can change the hardest heart. We sometimes lack trust that God can convince and change even the most cynical and sinful. We also hesitate to speak His Word in kindness and with boldness as often as He offers us the opportunity. No matter what someone has done, no matter where they have been, and no matter what has been done to them, God will forgive. God can save. He did it for you. He did it for me. He will do it for whosoever will repent of sin and trust in Christ. So let’s share Jesus with great faith. Let’s be winsome in our witness and pray to the Lord in confidence, knowing that He saves all who call upon Him. For those of us who call ourselves Christian that is what life is all about at the very bottom line. It should be the focus of everything that we do and the basis of what gives us meaning in this life. We are not here to “get everything this life has to offer” but to offer the only true source of life that there is to others–personally knowing Jesus Christ who can change our lives now and forever. And He will be there to guide us in the midst of everything that we do (or encounter) in this life, no matter what our occupation is or how much money we have or don’t have, what our status is in this life whether pauper or King/Queen, and no matter what circumstances we might find ourselves in (planned or unplanned). 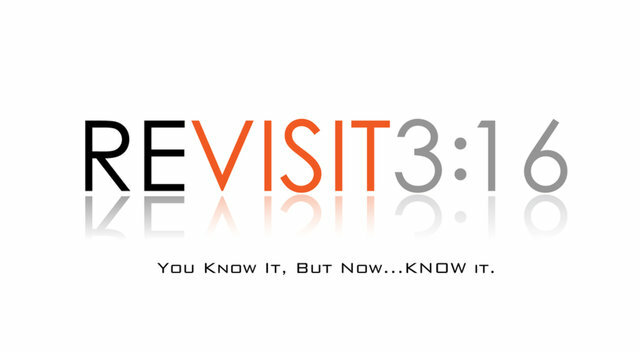 God is no respecter of persons and He doesn’t play favorites (see James 2:1-13), and we shouldn’t either. 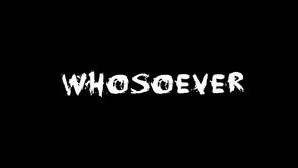 “Whosoever” includes every human being on this planet. We need to take our eyes off of everything our culture has to offer us and put them back on the One who redeemed us in the first place. We need to lay aside our complacency and our own lust for more of everything in this life and live for Him, and not just for ourselves. That is when the rest of the world will take notice, and that is when Jesus Christ will become real to them (and to us, too). There is a lost and dying world out there who needs to see the reality of Jesus Christ, and if He isn’t evident in those of us who call ourselves Christian, how are they ever going to be convinced that He is real? We need to clean up our own act and stop living like what we do doesn’t matter. It does matter. And the whole world is watching . . . .
Whosoever shall call . . . Upon the name of the Lord . . .
Shall be saved . . . . According to the Book of Esther, Haman, royal vizier to King Ahasuerus (presumed to be Xerxes I of Persia) planned to kill all the Jews in the empire, but his plans were foiled by Mordecai and his adopted daughter Esther who had risen to become Queen of Persia. The day of deliverance became a day of feasting and rejoicing (quote source here). Ahasuerus, ruler of a massive Persian empire, holds a lavish party, initially for his court and dignitaries and afterwards for all inhabitants of the capital city Shushan. Ahasuerus orders the queen Vashti to display her beauty before the guests. She refuses. Worried all women will learn from this, Ahasuerus removes her as queen and has a royal decree sent across the empire that men should be the ruler of their households and should speak their own native tongue. Ahasuerus then orders all beautiful young girls to be presented to him, so he can choose a new queen to replace Vashti. One of these is the orphan Esther, whose Jewish name is Hadassah. After the death of her parents, she is being fostered by her cousin Mordecai. She finds favor in the king’s eyes, and is made his new queen. Esther does not reveal that she is Jewish. Shortly afterwards, Mordecai discovers a plot by courtiers Bigthan and Teresh to assassinate Ahasuerus. The conspirators are apprehended and hanged, and Mordecai’s service to the king is recorded. Ahasuerus appoints Haman as his prime minister. Mordecai, who sits at the palace gates, falls into Haman’s disfavor as he refuses to bow down to him. Having found out that Mordecai is Jewish, Haman plans to kill not just Mordecai but all the Jews in the empire. He obtains Ahasuerus’ permission to execute this plan, against payment of ten thousand talents of silver (which the King declines to accept and rather allows him to execute his plan on principle), and he casts lots to choose the date on which to do this—the thirteenth of the month of Adar. On that day, everyone in the empire is free to massacre the Jews and despoil their property. When Mordecai finds out about the plans he and all Jews mourn and fast. Mordecai informs Esther what has happened and tells her to intercede with the King. She is afraid to break the law and go to the King unsummoned. This action would incur the death penalty. Mordecai tells her that she must. She orders Mordecai to have all Jews fast for three days together with her, and on the third day she goes to Ahasuerus, who stretches out his sceptre to her which shows that she is not to be punished. She invites him to a feast in the company of Haman. During the feast, she asks them to attend a further feast the next evening. Meanwhile, Haman is again offended by Mordecai and consults with his friends. At his wife’s suggestion, he builds a gallows for Mordecai. That night, Ahasuerus suffers from insomnia, and when the court records are read to him to help him sleep, he learns of the services rendered by Mordecai in the previous plot against his life. Ahasuerus is told that Mordecai has not received any recognition for saving the king’s life. Just then, Haman appears, to ask the King to hang Mordecai, but before he can make this request, King Ahasuerus asks Haman what should be done for the man that the king wishes to honor. Thinking that the man that the king is referring to is himself, Haman says that the man should be dressed in the king’s royal robes and led around on the king’s royal horse, while a herald calls: “See how the king honours a man he wishes to reward!” To his horror and surprise, the king instructs Haman to do so to Mordecai. After leading Mordecai’s parade, he returns in mourning to his wife and friends, who suggest his downfall has begun. Immediately after, Ahasuerus and Haman attend Esther’s second banquet, at which she reveals that she is Jewish and that Haman is planning to exterminate her people, including her. Overcome by rage, Ahasuerus leaves the room; meanwhile Haman stays behind and begs Esther for his life, falling upon her in desperation. The king comes back in at this moment and thinks Haman is assaulting the queen; this makes him angrier than before and he orders Haman hanged on the gallows that Haman had prepared for Mordecai. The previous decree against the Jews cannot be annulled, but the king allows the Jews to defend themselves during attacks. As a result, on 13 Adar, 500 attackers and Haman’s ten sons are killed in Shushan, followed by a Jewish slaughter of 75,000 Persians, although they took no plunder. 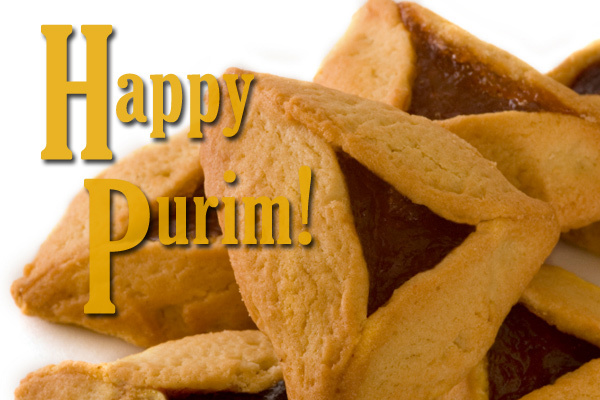 Esther sends a letter instituting an annual commemoration of the Jewish people’s redemption, in a holiday called Purim (lots). Ahasuerus remains very powerful and continues reigning, with Mordecai assuming a prominent position in his court (quote source here). The story of Esther is truly one of the most inspiring stories in the Old Testament, and while the name of God is not mentioned in the Book of Esther, God is all over every page and circumstance that happens in this book. It is about a courageous young Jewish woman and her relative, Mordecai, whose faith and courage remained unwavering in the midst of a plot to destroy all of the Jewish people in Persia. And the plot was not only foiled, but the man behind the plot fell victim to the very plans that he laid out for the destruction of Mordecai. Faith has nothing to do with how we look on Sunday morning or who we know at church or in the community-at-large. It is a total dependence on God in the midst of circumstances we cannot control. It is not looking out to the larger world to find answers, but relying on God to supply them as they are needed. It is a laying down of any personal agendas; indeed, of one’s own pride and self-sufficiency, and humbly submitting our lives to the will of God. Without this, faith is meaningless. It becomes nothing more than depending on our own resources or people we know to get us out of our trials and circumstances. True faith leaves the circumstances and the results up to God. True faith doesn’t try to manipulate; it doesn’t fabricate; it doesn’t deceive others to get our own way. In fact, true faith isn’t about us and what we want; it’s about God and how He is working in this world of ours. And it’s about giving Him total control of the situation and following His lead and not one of our own making. If we take seriously the stories in the Old and New Testaments, God is not into giving us everything we want in this life so that we can have “the good life.” That is an American ideal that has no basis in Scripture. Whether as Kings or paupers, Biblical characters from Abraham, Moses, Esther, Job, David, Solomon, the Prophets, John the Baptist, Mary and Joseph, Jesus Christ (the Son of God), Nicodemus, the Disciples, Paul (and the list goes on and on), the one thing they all had in common was total submission to God and His will, not their own will. They weren’t always perfect at it but God looks at the heart attitude. And a selfish and self-centered heart attitude doesn’t know God, nor does it care about His will. Do not think that because you are in the king’s house you alone of all the Jews will escape. For if you remain silent at this time, relief and deliverance for the Jews will arise from another place, but you and your father’s family will perish. And who knows but that you have come to your royal position for such a time as this? 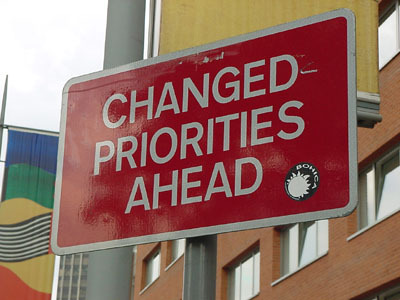 We make choices daily that indicate who we really serve–God or ourselves. It shows in the way we treat others, including those we don’t like or view as our enemies. It shows in how we spend our time and our money, and what is truly important to us (e.g., status, careers, money, possessions, etc.) Every decision we make is either self-center or God-centered. We live in a society that is constantly telling us to put the focus on ourselves and what we want, and that attitude has invaded the Church-at-large. And if we are focusing on what we want all the time, we will eventually drown out the voice of God in our lives as to what He wants us to do, and He will look elsewhere to accomplish His will, just as Mordecai stated to Esther. Esther chose right because she had a heart for God and for her people, the Jews. She wasn’t focused on being Queen, but on being God’s servant in the role He had given to her. How much do we miss today because we focus on ourselves and what we want more than we focus on truly getting to know God and what He wants? Mostly likely far too often. The celebration of Purim stands as a monument to us down through the ages as to what one person can accomplish who is truly sold out to God and His will. 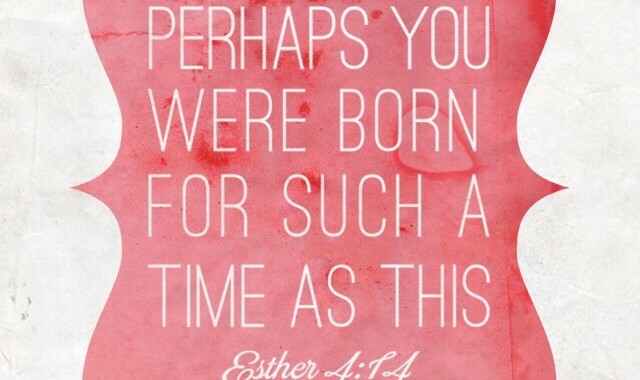 Through her obedience to God, Esther’s actions saved her people, the Jews living in Persia, from total destruction. Our challenge today is to take our eyes off of everything our society offers to us and what we want, and to spend time understanding what God would have us to do in this world of ours. We never know what circumstances might be coming our way–for example, I never dreamed I’d spend five years late in life unemployed through no fault of my own. Yet if that had not happened, my life would have still been focused on me trying to find “my best life now” and asking God to bless it instead of getting to know God through Jesus Christ and what He would have me do with my life in serving Him. While most of us may not ever have to make a decision on the scale of Esther’s, we have no idea what the impact on others might be even in the smallest decisions we make if they are God-focused and not self-focused. God’s focus is on the redemption of humankind. And that should be our focus, too. I challenge all of us to take some time in the next few days to consider the story of Esther and how it applies to our own life, even in the small decisions we make. Are our lives God-focused or self-focused? Before it’s too late . . .
Don’t wait . . . .
Over the past several decades there has been an increasing attitude of disrespect shown to our elected government officials, especially if we didn’t vote for them and if we disagree with something they have said or done that has appeared in various media. The mudslinging starts during every election year and continues well after the election is over and the elected officials hold office. However, the attacks towards those holding office have become increasing vitriol, and are highly disrespectful of our elected officials. While disagreements will arise and freedom of speech is one of our Constitutional rights (see the First Amendment); showing contempt, disrespect and/or slandering our elected government officials is not. And while we may disagree at times with something they have said or done, civility and respect should always be shown towards our government officials and the office they hold. After all, those officials were elected to their political office by the American voting public. Emperors ruled the Roman Empire during Paul’s lifetime and at the time he wrote Roman 13 (see a timeline of the Apostle Paul’s life at this link). It should be noted that Paul was a Roman citizen which is important to know as Roman citizens had specific rights that included the right to “vote, standing for public office, rights in private law, and the right of appeal. Duties included military service, taxation, billetting troops, and various civic responsibilities” as opposed to people living in the Roman Empire who were not Roman citizens (quote source from article titled, “The Apostle Paul’s exercise of his rights as a Roman Citizen as recorded in the book of Acts,” in “The Evangelical Quarterly”–a PDF file available at this link). This article contains a lengthy discussion of the system of government in place at that time as well as how Paul exercized his rights under that government when his rights had been violated as they frequently were by the Jewish religious establishment whose false claims landed Paul in prison on numerous occasions. It should be noted that Paul was always very respectful to the authorities in which he had to give an account when he was falsely accused by the Jewish religious establishment and put in jail or suffered punishment at their hands. But he was also bold to state the facts of his case in each and every instance. I wrote about Paul’s experience while in prison when he had to go before several different authorities near the end of his life–the first authority was Felix, a Roman procurator, who was succeeded by Porcius Festus, and extending all the way up to King Agrippa and Bernice–in my blog post titled, “Don’t Put It Off.” The complete story can be read in Acts 24-28. 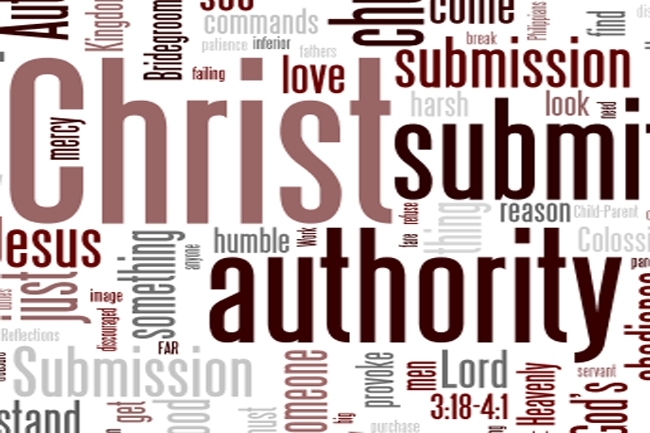 As we can see from reading Paul’s instructions to the Roman Christians regarding submission to the governing authorities (Romans 13:1-7)–and hence, to Christians everywhere today–he is writing to explain why we as Christians should be in submission to our governing authorities as “there is no authority except that which God has established. The authorities that exist have been established by God” (v. 1). He goes on to state that “whoever rebels against the authority are rebelling against what God has instituted, and those who do so will bring judgment on themselves” (v. 2). Paul states in verse 3a, “For rulers hold no terror for those who do right, but for those who do wrong. Do you want to be free from fear of the one in authority?” And he answers his question by stating, “Then do what is right and you will be commended. For the one in authority is God’s servant for your good. But if you do wrong, be afraid, for rulers do not bear the sword for no reason. They are God’s servants, agents of wrath to bring punishment on the wrongdoer” (vv. 3b-4). In other words, we are to “do what is right” in order to be commended and not do what is wrong. 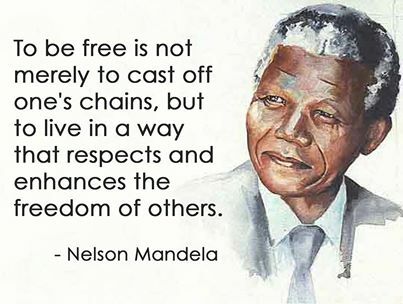 And this is how we should live on a daily basis, being subject to the governing authorities. As Paul stated, if we rebel against them, it will bring punishment on the wrongdoers. This, of course, is not a matter of individual rights being violated by others as in Paul’s case when the religious establishment of his day gave false testimony about him in order to put him in prison, and when he defended himself against those false allegations of his accusers again and again in front of the governing authorities. As a Roman citizen it was his right to defend himself against those false allegations and he did so with respect towards those governing authorities all the way up to King Agrippa. 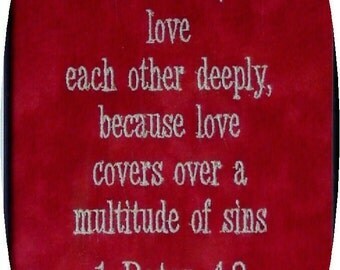 Love does no harm to a neighbor . . . . Giving false testimony to a governing authority against someone who has done no harm to anyone in order to discredit them is rebelling against that authority by lying to them about that person with the intent to cause great harm to that person who was falsely accused. Such discrediting will not go unpunished according to Romans 13:1-7. The hour has already come for us to wake up from our slumber. “So let us put aside the deeds of darkness and put on the armor of light” . . . .
“Let us behave decently . . .
“And clothe ourselves with the Lord Jesus Christ . . .
“As the day is almost here” . . . .